Samovar has finally opened at 201 N. Washington Street in Rockville Town Square. 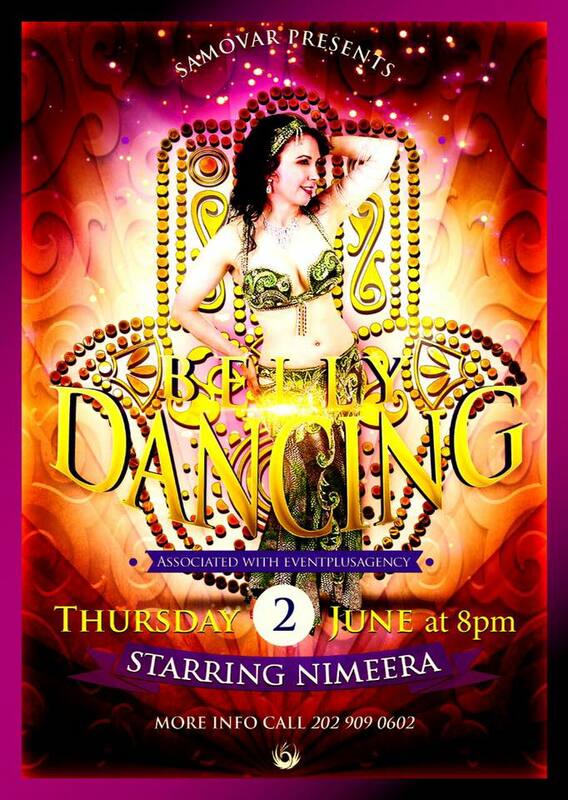 They are celebrating tonight starting at 8:00 PM with an appearance by belly dancer Nimeera, who can be seen wielding a scimitar in the dining room in videos on their new Facebook page. I've been searching Facebook for Samovar for about a year, so it was a bit surreal to actually get a result last night. Samovar features Russian and Central Asian cuisine. You can check out the menu online. The owner won several National USSR awards for his cooking in the former Soviet Union - it doesn't get any more legit than that. I saw your post on Samovar today and I'm excited about it's opening. The menu looks terrific and diverse. What I find disturbing, and think others will as well, is a disgusting wolf pelt mounted under glass hanging on the wall. I'm sure that it's a difference in cultural perspective, but I wouldn't want to look at it when dining there.